As has been his quarterly custom, President Trump is donating his fourth quarter, 2017 presidential salary to a cause he considers worthy. Rather than allow the US Treasury to keep his salary, each quarter President Trump has chosen a charity or cause to donate his $100,000 quarterly salary to. 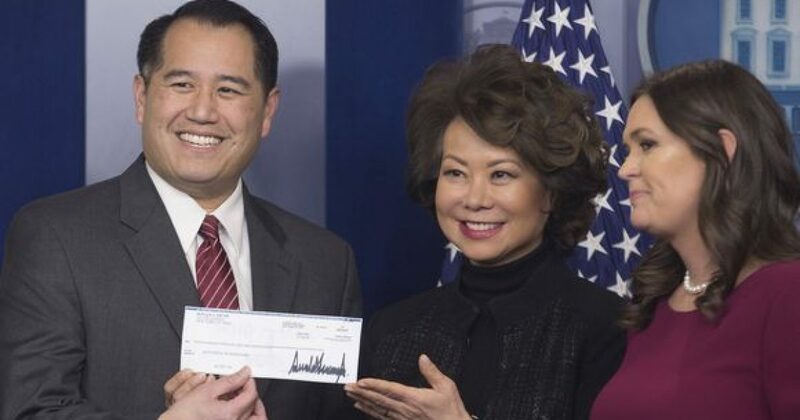 President Trump is donating last quarter’s salary to the US Department of Transportation, no doubt to contribute to his massive infrastructure plan. He actually seems to ENJOY giving money to causes he believes in. Not that his critics would ever report on that, claims Clash America. Putting his money where his mouth was, even further, he donated his third quarter salarytowards addressing the Opioid Crisis.